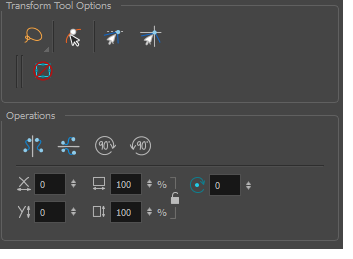 Harmony has a wide variety of drawing and manipulation tools and each one of them has a series of options and modes available in the Tool Properties view. This section covers these options. NOTE: For details on how to use the drawing tools, see About Drawing .